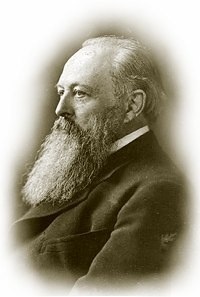 In his correspondence with the recently defeated Robert E. Lee, Lord Acton was continuing a discussion begun by the anti-federalists and the first framers of the Constitution about one hundred years before them. Lord Acton had written to Lee requesting the ‘other side of the story,’ because thus far, European historians had only heard from the victorious North in their task of making a historical record of that struggle. In his letter, Acton lamented the loss of the South to the North because he saw that “secession filled me with hope, not as the destruction but as the redemption of Democracy.” He was certain Lee understood his position, adding “I mourn for the stake which was lost at Richmond more deeply than I rejoice over that which was saved at Waterloo.” To some, this may at first appear to be a strange thing to say: that our civil war was hope for Liberty…but only if the South had won. How did this discussion begin? In the Summer of 1787, initial drafting of the Constitution was achieved. Before it could become “the supreme law of the land” the States had to sign onto it. But even earlier, so as to act in concert during the American Revolution, the thirteen colonies had chosen to create a congress to act as a mediator between them and King George III. A congress had also previously written the Declaration of Independence and the Bill of Rights. When the war was finally won, these colonies became sovereign and independent states, so much so that King George had to sign thirteen individual peace treaties–one with each of the new States. But now, in 1787, patriots who had just tossed an oppressive tyranny off their backs were alarmed that a central government was even being proposed. At the very least, a “bill of rights,” which would explain and codify why the patriots fought, was completely missing from this proposal called the Constitution. The ideas of Thomas Paine and Thomas Jefferson, of John Locke and Voltaire–that government was a creation of the people; that power is derived from the consent of the governed; that individuals have certain natural, inalienable rights–was conspicuously absent from the document. In addition, Article 1 of the constitution seemed only to limit the States’ powers and create an unbounded federal government. These patriots, later termed “anti-federalists,” knew that a balance between State and National sovereignty was necessary for the continuation of Liberty. How else does an enlightened people govern “from the bottom up” unless power flows from the people through the States to the federal level? During the attempt to ratify this Constitution with each State, a reasonable and necessary debate began. In anti-federalist paper #17 ‘Brutus’ warned, “the power in the federal legislature, to raise and support armies at pleasure, as well in peace as in war, and their control over the militia, tend not only to a consolidation of the government, but the destruction of liberty.” In a later publication, #25, he adds, “standing armies in time of peace are dangerous to liberty, and have often been the means of overturning the best constitutions of government,” citing Caesar’s Rome and Britain’s Cromwell as examples. Additionally, Madison continued, it would be a numbers game in favor of State opposition. 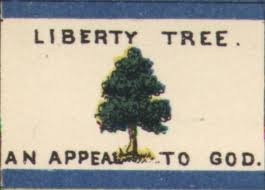 The numbers of federal troops required to quell an intolerant State just could not be possible due to organized militias of “citizens with arms in their hands, officered by men chosen from among themselves, fighting for their common liberties, and united and conducted by governments possessing their affections and confidence.” There was about a snowball’s chance in hell then, in Madison’s estimation, that a federal government would ever dominate a State. It was clear that even some prominent Federalists envisioned or desired a smaller federal government or, at the very least, powerful States. 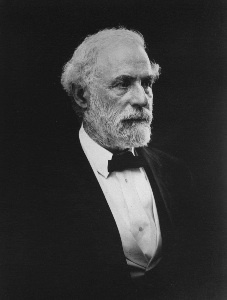 Madison began to counter Hamilton’s vision of a strong central government. He would later emphasize his concerns that with weak States and a strong central government “the discretionary power of the Executive is extended; its influence in dealing out offices, honors, and emoluments is multiplied; and all the means of seducing the minds, are added to those of subduing the force, of the people.” It was apparent that Madison with his farsighted concerns was an anomaly as a federalist, which as a rule did not want strong states. The founder Hamilton was a more typical federalist, who did want concentrated power at the federal level. For the next one hundred years, the issue would lay more or less dormant as these United States healed her wounds, fought a world war, entered a depression, and fought another world war. Federal power increased in response to these crises, and now the US has participated in several conflicts in which matters her constituent states have had no official say. To many, it appears that Lee’s warning has come to pass; the US has become “aggressive abroad.” It was only very recently that a unilateral decision to bomb Syria by the US administration was narrowly avoided, and only then because of an unusually vocal popular outcry. In the last decade, the US has already dropped bombs on six separate and sovereign nations. At home, it has become obvious that it is the federal government that wears the pants. There is a long list of Supreme Court decisions, State Sovereignty resolutions, and more recently, Nullification efforts revolving around Tenth Amendment questions and federal law. It has become clear that no matter what the issues are, the federal government decides what the States can, and cannot, do. Often, the mere theoretical probability of a product or service crossing state lines–even though it hasn’t already done so–condemns trade of that product to the threat of regulation of the federal government. The States find themselves begging forgiveness or asking permission from the federal government on many issues. Was Lee also right about the “despot at home?” In what shape will the final answer come? 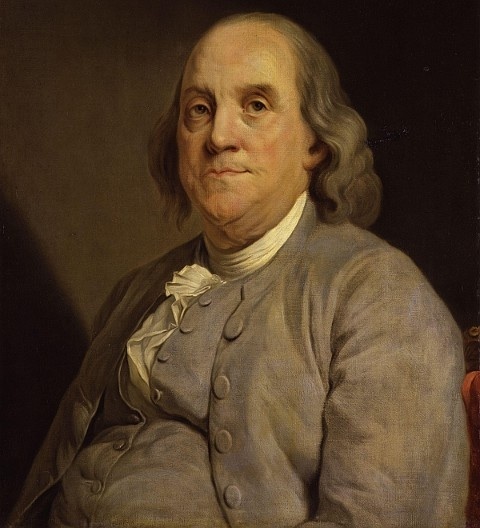 Perhaps Ben Franklin countered these statements best when he warned “those that would trade freedom for a little temporary security, deserve neither and will soon lose both.” Do you wonder why Ben sounded so indignant? He knew that if you did not aggressively protect your rights, you would be jeopardizing the rights of others, as well. He was insulted that one would be willing to weaken Liberty, for all, through their careless negligence. We all bear the costs of increased surveillance in our country, and although it levies all taxpayers, not all costs are financial. It infringes on everyone’s private life, not just those that are willing to allow it. It compromises everyone’s officials and leaders. Their decisions affect everyone in society, not just those that yielded their Liberty. These leaders include those in the political, military and private sectors. Information used to blackmail a corporate leader might have far reaching consequences that affect many of us, not just a few. These consequences could be more serious in the event that a senator’s (or a military general’s) decision was compromised. This unreasonable intrusion into our privacy generally increases our distrust of one another. Lack of privacy also inhibits the dissemination of sensitive information necessary for “whistle blowers” to bring tyranny into the open, affecting everyone. 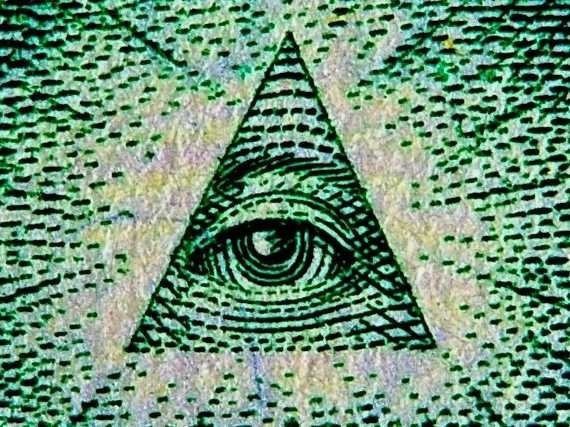 If a state official sees something wrong or unethical being performed by an institution in which they have insider information, they might anonymously leak this information to the press so that a public discussion can begin to change what is happening. If they know that “leaks” are not anonymous, and their careers, or even their lives, would be jeopardized with reprisals from unscrupulous individuals, these “whistleblowers” might remain silent. In this case, it is not a criminal that “craves” privacy, but someone trying to end corruption. Journalists and other members of a free press understand this concept well and defend their right to protect the privacy of their sources tenaciously. This could affect you! Privacy has financial value. Consider Congressman Blackburn’s formal remarks: “What happens when you follow the European privacy model and take information out of the information economy? … Revenues fall, innovation stalls and you lose out to innovators who choose to work elsewhere.” We have also seen an unwillingness of foreign corporations to purchase American- made computers and components because they are correctly suspicious that these goods will make them vulnerable to industrial espionage. This hurts our bottom line directly. Additionally, donors might crave privacy. Often donations are made anonymously for any number of good reasons. Perhaps the person would like to avoid additional solicitations from other individuals or charities once their generosity was made public. Perhaps a donor would prefer his politics remain unknown to the public so that he may continue to do business with those that may have strong opinions opposite of his own. Perhaps the donation might reveal vulnerabilities of the donor in other ways. One example might be if a donor would like to contribute to a cause that is socially sensitive, such as ending prohibition during the twenties. Whatever the reason, donors that might be good people, championing good causes, could also “crave” privacy. In February 1761, a lawyer named James Otis argued unsuccessfully against “Writs of Assistance” in the defense of merchants who had failed to pay duty to the English Crown on smuggled goods. Writs of Assistance were broad-based warrants that allowed for general searches for no one specific and no place in particular. They could be used by custom officials whenever they wanted to search for smuggled or stolen goods and written materials expressing political dissent. 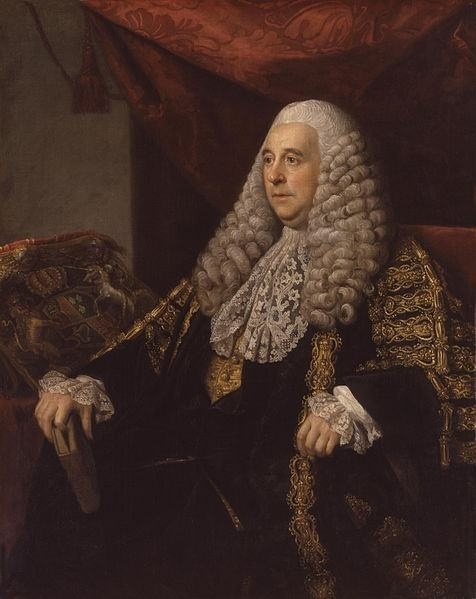 In 1763 and 1765, two separate cases involving the ransacking of pamphleteers homes and the seizure of property related to sedition charges resulted in the British judge on both cases, Lord Camden, overturning them on the basis that the searches were illegal. (Pamphleteering was the 18th century equivalent of “blogging”!). 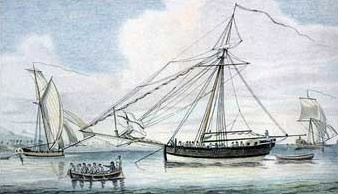 And on June 10, 1768, John Hancock’s gaff-rigged Sloop, “Liberty,” was seized by the British after a search at sea turned up smuggled wine. John Hancock was at the time one of the wealthiest merchants in Boston and blatantly disregarded paying taxes to the Crown on imported goods. To make matters worse, the Captain and crew of the “Liberty” kidnapped the British customs official that had discovered the boot-legged wine and held him prisoner (in part, because the cheeky official wouldn’t consider taking a bribe!) until they could offload most of their cargo at dock, duty-free. A riot and some fisticuffs later, and the “Liberty” was commandeered in port by the British. It is interesting that Adams argued that even a commercial merchant vessel was immune to searches “without any probable cause” and that his language in his state Constitution was broader in scope of the protections eventually granted in the US Constitution. Though many authors contributed to the final wording (including James Madison), Adams probably had the most intimate experience with aberrant conditions prior to any law being enacted. It is also worth noting that it was the illegal search of the homes or vessels that mandated a “not guilty” verdict, even though the defendants, in these cases, were probably guilty of some misdeed. It was clearly established that probable cause was the proper measure of a search or seizure, and any fact discovered afterwards, in the event of a improper search, was null and void. Could it be then, that the framers saw the necessity, on occasion, for lawbreakers to be protected from unreasonable searches and seizures? Much as the right to bear arms implies that those arms might be used one day to guard against tyranny, maybe the right to be free from unprovoked, and possibly condemning searches might be necessary to protect a public accumulating contraband to resist tyranny. In both cases, an illegal act, or the threat of an illegal act, might be necessary. Imagine a scenario where an ethical person might be compelled to act illegally in the face of a tyrannical regulation or law. History is replete with examples. Consider what it would mean to harbor an escaped slave in antebellum times; or a Jew during the Nazi occupation of Poland; or to protect a rare library of astronomy books during the Spanish Inquisition, or to sequester guns and grenades for the French Underground during the German occupation of France. These examples — and there are plenty more — were not necessary for the framers; they had had experiences of their own. So, why do we find the Fourth Amendment applicable to today’s society even with huge technological advances the founders could not have envisioned in their time? It is because it is not a document discussing technology. It is a document discussing ethics and principles. It is discussing ideas. Ethics and principles do not change within the human species very much. What is fair today was fair 2000 years ago and will still be fair in 2000 years to come. The Fourth Amendment applies to today’s technology because an “unreasonable search” occurs when the government violates a person’s expectation of privacy during a phone call or even an internet connection. 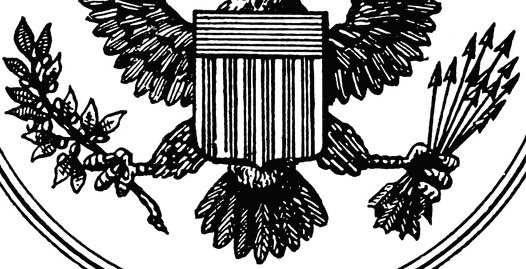 Even though a search may be electronic, digital, or some future, yet undiscovered technology, rather than a physical one, it is still a “search” covered by the Fourth Amendment. You should be able to reasonably expect your privacy.